Scarthingwell GC was the venue for this year’s Team Championship which traditionally brings the Scratch League to a close for the year. We were fortunate to have a fine day for the event, and some fine golf to match. As usual, the morning foursomes provided a different sort of test for a lot of players unused to playing alternate shot golf, but even so some good scores were returned. Jack Boyd and Marcus Brigham (Malton & Norton) combined to record the best round of the morning with a 1 over par 73, with 74’s from Rob Moore and Damon Coulson (Fulford), Stuart Rice and Darren Dunning (Sandburn Hall), and Alistair Smith and Steve Stokell (Pike Hills). Sandburn Hall went into the afternoon singles holding a 3 stroke lead over Malton & Norton with Fulford “A” and Pike Hills “A” a further stroke behind. 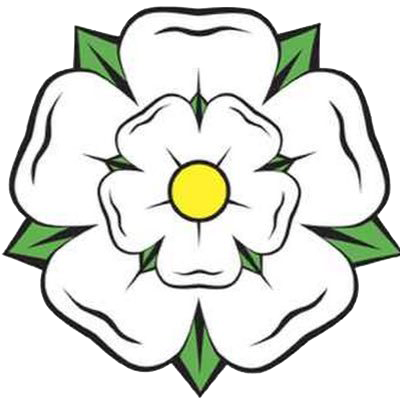 Three sub-par rounds were recorded in the afternoon singles by Alistair Smith (Pike Hills) with 71 , Damon Coulson (Fulford) and Tom Pyman (The Oaks) both with 70. 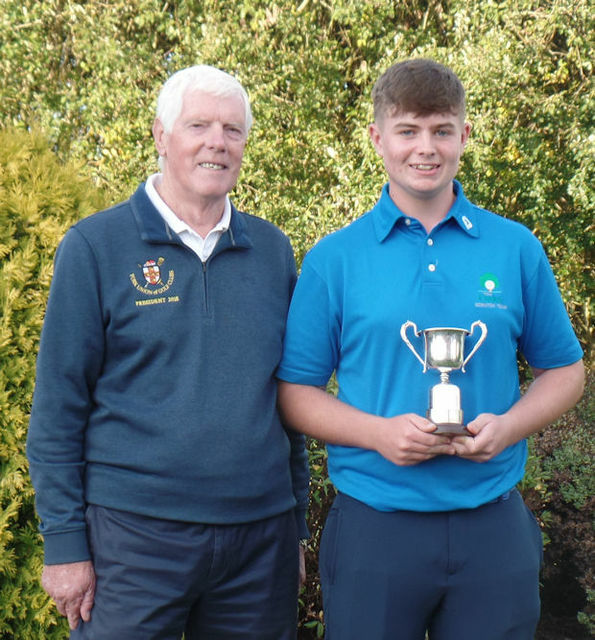 Tom Pyman beat Damon Coulson on countback to claim the Issott Trophy which is presented to the individual with the lowest score in the afternoon. Well done Tom! 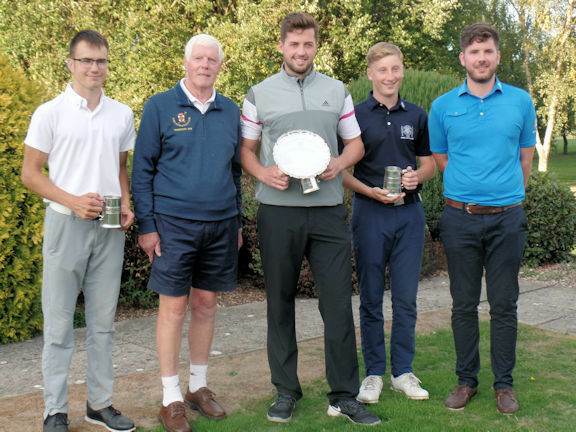 Sandburn Hall couldn’t maintain their morning form as they eventually finished runners up behind Fulford “A” who claimed the Team Championship for the fourth consecutive year. Fulford “A” claimed both the Team Championship and Division 1 whilst their “B” team finished top of Division 2. Well done Fulford!